Homebuyers and sellers should be wary when enlisting the services of illegal real estate agents and negotiators. Last year, 105 fraud cases related to illegal real estate agents were reported. Compared to the 180 reported cases in 2015, it has decrease but it still causes problems for BOVEA and the government. These numbers were announced at the Malaysia’s Annual Real Estate Convention 2017 (MAREC) last week. “The greatest challenge faced by the board is when members of the public use the services of the illegal real estate agents. Even though we have repeatedly advised against it. “This has also resulted in the government losing out on revenues as these illegal agents do not pay taxes,’’ said Deputy Finance Minister Datuk Lee Chee Leong. Lee warns the public that very little could be done to help those who have been cheated by unregistered real estate agents and negotiators. However, if they suspect they are dealing with an illegal broker, they can make a police report. They can also inform the Board of Valuers, Appraisers and Estate Agents Malaysia (BOVEA) on top of that. These illegal real estate agents can face quite severe penalties if found guilty after investigations. They have to pay a RM300,000 fine or/and serve 3 years jail term. Although there were laws to bring the illegal agents to book, it’s not effective. The Malaysian Institute of Estate Agents (MIEA) immediate past-president Siva Shanker said enforcement is lacking. “If the enforcement starts and you make an example of a few of them, the rest will disappear or will try to get themselves registered,’’ added Siva. How to identify illegal real estate agents? There are 22,000 active registered real estate negotiators (REN) in the market, according to MIEA president Erick Kho. There are ways to identify a registered real estate agent (REA) and REN. A REA will carry a four-digit REA number, while a REN will have a five-digit REN number. That is the first step in spotting the slightest irregularity. Then, they can use the BOVAEA website to verify the agent’s status before entering into any transactions to protect themselves. 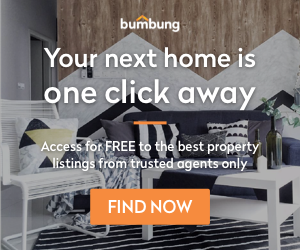 Or, alternatively homebuyers can head over to Bumbung where all the agents there have been verified. Making your home more "hygge"